I like crispy chickpeas and I like chocolate. It seemed obvious I should try to combine the two but I've had two problems with the recipes I've found so far and that's that they either take too long or the chocolate burns. 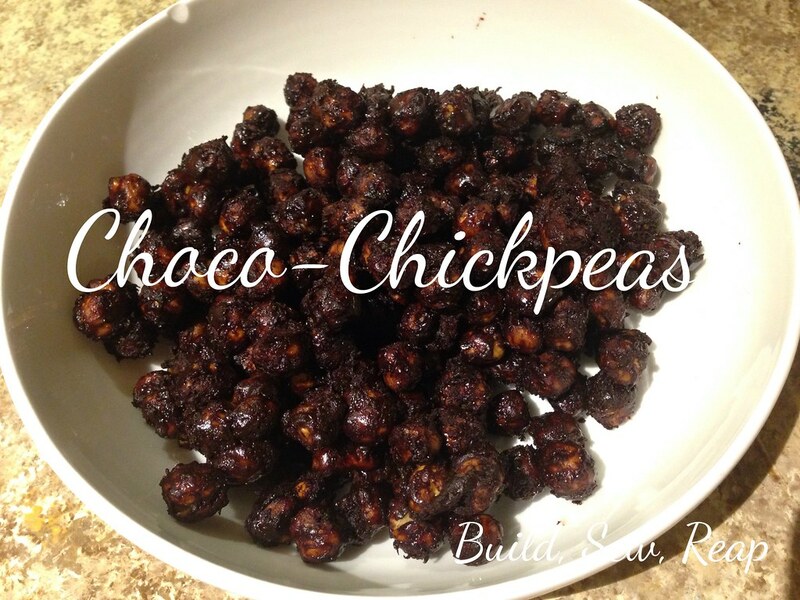 I combined several recipes that have worked to form one perfect recipe for crispy chocolate chickpeas. These don't really save well so just plan on making as much as you'll eat right away. Dry the chickpeas as well as you can. Many people use paper towels but I've found that a clean lint-free dish towel works just as well. This is key to getting them crisp. Line a baking sheet with parchment paper. Spread out the chickpeas in a single layer, spray lightly with cooking oil, roll around a bit and spritz again. A light coating on all sides is what you're going for. Bake on 425 for 10 minutes. Remove the pan, shake the chickpeas around a bit then put the pan back in for another 10 minutes. While those are cooking for the second 10 minutes, mix together the other 5 ingredients in a bowl. After the 10 minutes are up, pour the hot chickpeas into this mixture and mix to coat. Pour them back on the covered baking pan and bake for another 7-10 minutes. Remove from the oven, transfer the parchment paper to a cooling rack. The chickpeas will crisp as they cool. They should be ready to eat in 5-10 minutes but feel free to test one every minute or so.